You completed nursing school, passed the NCLEX, and are lucky enough to have secured your first job as a nurse. Now what!? Nursing school gave you a good foundation, but now comes the task of applying your skills and knowledge to the real world. Take this time to discuss the challenges you are facing in your first year as a nurse. 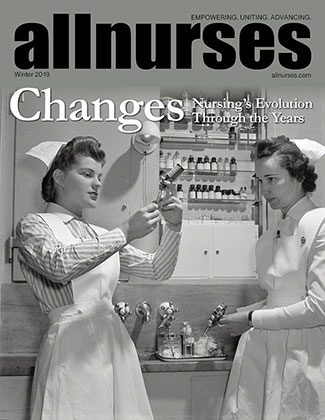 You will find many experienced nurses sharing wisdom, knowledge and encouragement. Put a 3 month job on resume or no? I am disappointed with the healthcare here..
Graduate in May need advice as to where I should start. How long do I need to stay at my first nursing job? Help! New grad ER nurse, leaving before year mark? AZ Banner New Grads March/April Starts? Anyone familiar with PeaceHealth or their new grad program? Clinical Nurse or Research Nurse?